The experience begins in the classroom as one of our site Directors spends three hours with the students orienting them to our curriculum and philosophy. Throughout five-hour exploration hikes, students will observe processes, patterns, and cycles in nature, ask questions, conduct investigations, analyze, interpret and communicate their findings. Participants learn to use their five senses to make deep observations while exploring our 215-acre redwood forest, lake and stream. We foster a spirit of inquiry focusing on the science practices featured in the Next Generation Science Standards. Ecology is emphasized in this hands-on learning experience as we focus on the interconnectedness between living things and their environment. From an understanding of basic ecological concepts, students develop a sense of awe, appreciation, and responsibility to protect the environment. Dedicated Naturalists lead Exploration groups of 12-14 students in a variety of activities to develop strong group cohesion and develop positive character traits in individual students. 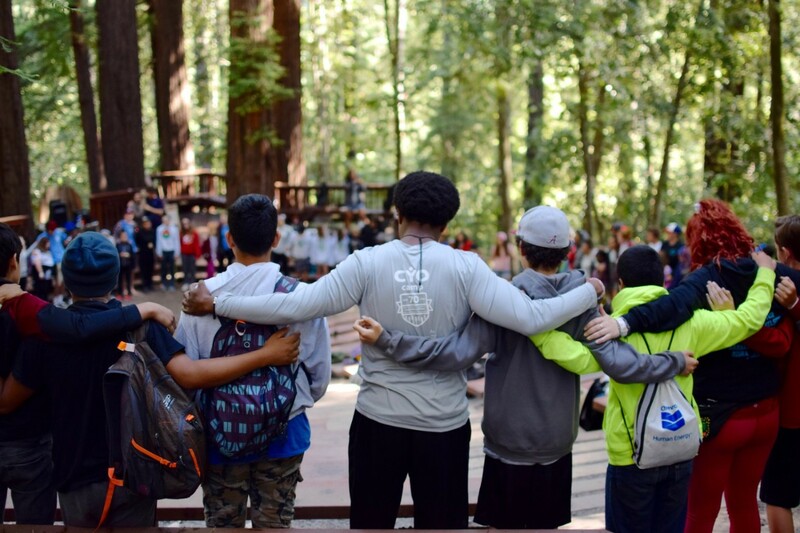 At CYO Camp, we create a welcoming atmosphere of acceptance, love, and respect where every camper feels appreciated for who they are. Students return to their schools and communities with greater respect for one another and with a feeling of empowerment. They take responsibility for the effect they have on one another and their environment and make more positive choices. To enable students to understand and experience the relationship between themselves and the natural environment, and their roles as stewards of the earth. To strengthen social relationships between the students and their peers and teachers. To provide students with a sense of independence and self-identity. To deepen students connection to Self, Others, Nature, and God. To foster an attitude of inquiry in the student. To encourage openness and active participation in outdoor activities. To promote positive character traits such as optimism, positivity, resiliency, enthusiasm, responsibility, and respect.